Dead Sea Premier Eye Serum Review (2018): Is It Worth Buying? Dead Sea Premier Eye Serum Review: Ingredients, Side Effects, Customer Reviews And More. Dead Sea Premier Eye Serum, US $249.99 for a 1.2 oz. pump bottle, is a Eye cream treatment solution that commits to address all signs of skin damage and aging that show up around the eye area. About Dead Sea Premier Eye Serum — Does It Really Work? This product is brought to you by Premier. Premier’s mission is “to provide effective skincare by combining the wisdom of nature, the secrets of the Dead Sea, and the advancement of science”. Every Premier product draws on the minerals and essential nutrients that can only be richly found in the Dead Sea. Soften and smoothen your skin’s surface texture. Deliver vital nutrients that help your skin regenerate to become renewed and rejuvenated. Fade signs of skin aging that show up around the eye area. Re-energize and revitalize your skin with antioxidants and deep skin moisturizers. What Are The Ingredients In Dead Sea Premier Eye Serum? Soybean Oil: Deliver two super benefits that help restore your skin, that includes the soothing moisturizing feel of Vitamin E, and the revitalizing and protective power of antioxidants that hinder damage from progressing. Vitamin C: A powerful antioxidant, it also has natural astringent properties that lighten dark marks and give you a brighter skin tone. Vitamin E: Deeply moisturizing, it leaves your skin with a calming effect as it simultaneously strengthens your skin’s protective barrier, effectively shielding your skin from damage and aging caused by the elements. Musk Rose Oil: It has a re-energizing and revitalizing effect on your skin, relieving tired look while simultaneously smoothening out wrinkles and fine lines. Dead Sea Premier Eye Serum is recommended for application over skin that has been thoroughly cleansed and cleared of dirt, grime, and product residues to enhance absorption. Take a dime-sized amount. Dot around your eye area then spread evenly with upward massaging strokes with occasional tapping to better blend in the product into your skin. As anti-wrinkle creams can be extremely photosensitizing, make sure to wear your sunscreen every morning so as not to cancel out the anti-aging benefits that you can derive from this product. 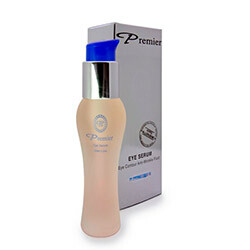 Dead Sea Premier Eye Serum is conveniently available for online purchase. 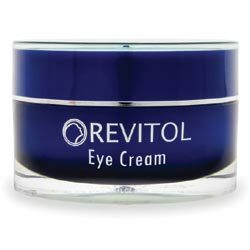 This product has been designed and formulated to correct multiple signs of skin aging commonly found around your eye area. This product appears to have a limited distribution network and possibly not very easy to access and maintain as part of your routine as it is also too expensive. Independent Dead Sea Premier Eye Serum reviews are severely limited to make a collective impression as to this product’s performance based on actual experiences of users. The full product ingredients list has yet to be disclosed by the manufacturer. 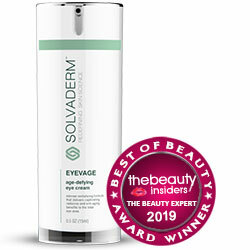 Does Dead Sea Premier Eye SerumHave Any Side Effects? In the absence of a full list of ingredients, expect the likelihood of side effects to occur to be high when you decide to use Dead Sea Premier Eye Serum. As a precaution, perform an overnight patch test to check for any possible allergic reactions that you may have against one or more of this product’s components. Dead Sea Premier Eye Serum contains a rather basic lineup of key ingredients. Unfortunately, these cannot be sufficient to fade fine lines and wrinkles around your eye area. It’s also sad that with such an expensive price tag, the manufacturer fails to detail what it is exactly that you will be getting in exchange for your hard-earned dollar.